Mobile Point of Sale & Marketing App specifically for Food Trucks! I’m the former owner of The Night Truck, a late night-food truck that served college campuses; we used Square to process our payments. I am the newest member of the Food on a Truck team, and I wanted to introduce myself. Mobile POS is changing rapidly. I was one of the first 50 businesses to sign up for Square for payment processing in 2010. Now the industry has been flipped on its head again with Apple Pay, Chip Readers, and tailored services (online ordering systems, loyalty programs, ticket printers, you name it). Square is passe. Getting ahead means understanding and implementing the best new technology. We stand ready to help you do that. I hope you’ll be one of the first 50 to sign up for Food on a Truck and join us in revolutionizing POS systems for food trucks. Please, if you’re interested in exchanging ideas, or learning more about whether Food on a Truck is a good product for your company, contact me to discuss. We can make it quick to suit your busy schedule. It’s so exciting when a new food truck business is born. And creating the twitter account for your food truck is just as essential as the truck, a well thought out menu, and necessarily permits. We hope this blog post is especially help to those food truckers about to launch their first food truck. But even the pros that have been out on the streets for years and years can always take a look they can improve utilizing twitter to get more customers to show up at the truck day after day. 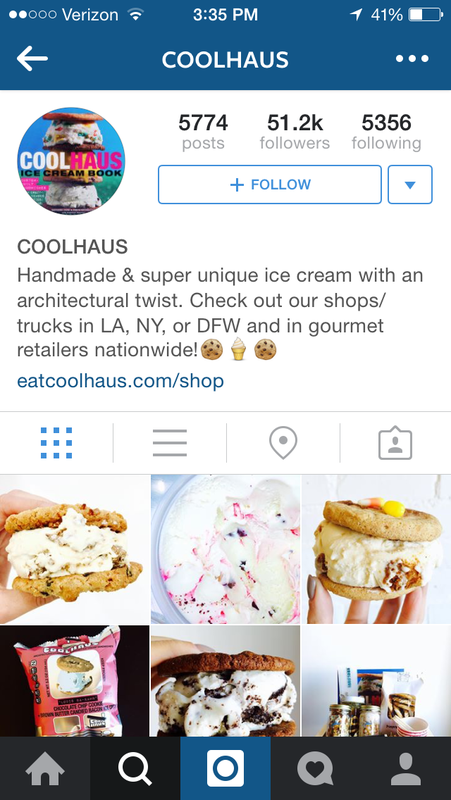 Would the modern food truck even exist without social media? Here at Food on a Truck we feel that twitter and communicating to customers is just as essential to a successful mobile food business as having amazing food and stellar service. Being a mobile restaurant is a double edged sword. You get to serve at different locations to build your customer base. But because you are mobile you must make it as easy as possible for your customers to always be able to find you. 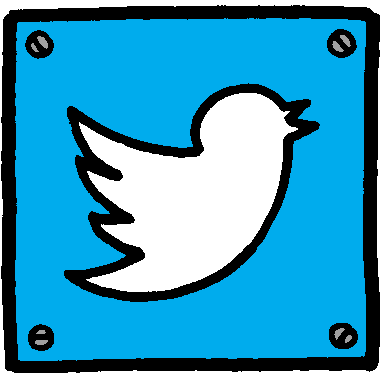 Yes – setting up your twitter account takes time. And it does take time throughout your day to tweet your customers about your current location, hours, and current menu items. But it’s clear that when you do this, you will get more people to show up at your truck. If you cater events, mention it. Excellent marketing is all about planting a seed. So when a customer of yours find out their friend is planning a wedding reception they mention their favorite food truck is available for catering. 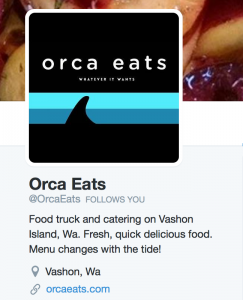 Here’s an excellent example of a twitter bio from the food truck Orca Eats. It becomes obvious to the customer this is a food truck that caters events and is located on Vashon Island in Washington. They also state how their menu changes frequently giving a sense of urgency for the customer to get out and try the truck! We’ve visited cities wanting to try specific food trucks and have been unable to find them due to their location not being published online. You cannot over communicate your schedule to your customers. 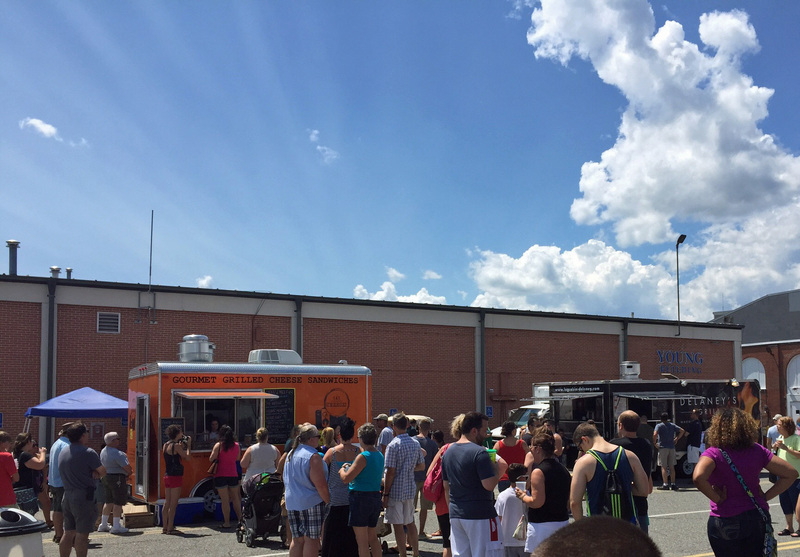 People follow your food truck for a reason: they want to stay updated. Sure, when you tweet your location it might only be a small percentage of customers that show up because of that tweet, but in this business every little bit helps and can really add up over time. Plus, if you don’t tweet or have your schedule online, you could be losing customers that are actively wanting to eat at your truck and not even know it. This is critical. At some point you will get a “troll” that will want to start a fight on the internet. You absolutely always want to be completely professional and positive even when you are tempted to give in and lob some heated words back at them. This can only backfire and damage your brand. If you are really frustrated, just relax and put off responding to the person after 24 hours. Often people will give up trying to start a fight if you simply don’t engage on their level. If you want to openly support a political candidate or a current issue feel free to do that under your own personal twitter account. However, with your business you want avoid any topics that could offend people. Your customers are going to be diverse people with many different backgrounds and political views. It would be a big mistake to bring up politics and give a reason for your customers to not show up at your truck. When you follow accounts like @FoodOnATruck and @MobileCuisine you will always have interesting content in your twitter feed. If something is partially interesting to you just retweet it to your followers. 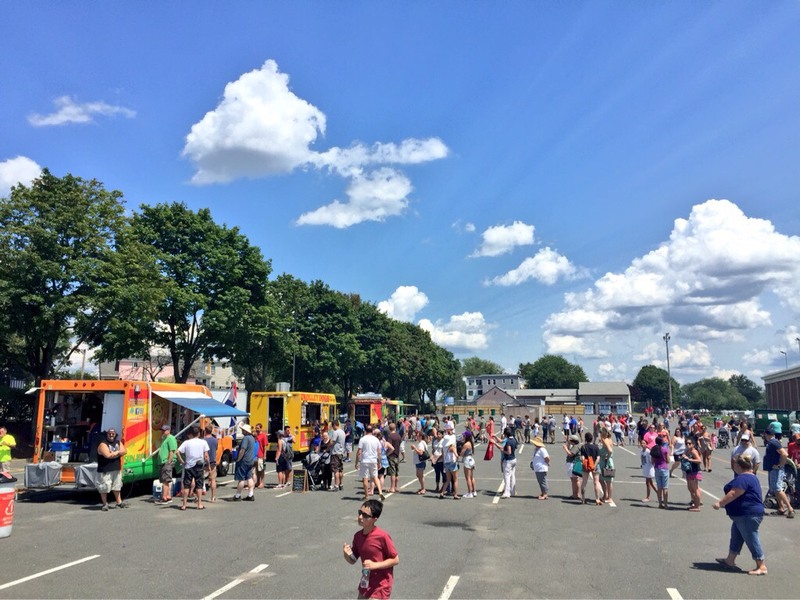 It’s a great way to stay top of mind to your customers and even interact with members of the food truck community. We strive to be a source of quality relevant content to food trucks. Do the same with your own followers, follow your local news sources so you can share tweets to your customers that will be of value to them. Follow other businesses too and become involved in your local community via twitter. And if you are lucky enough to get a tweet like this from a happy customer be sure and retweet it to your followers. You can also respond with a quote when customers tweet to you. It’s like retweeting but takes just a bit more effort and it shows your customers that you really listen and are responsive. Use the “Reply” option and your followers will see both the original tweet and your reply. Even if you have an Instagram account post photos via twitter. There’s something very powerful about seeing your favorite truck at a location that’s near you that will cause your stomach to grumble. Post photos of your truck, your food, your employees and even your happy customers. Share this guide with anyone that uses your twitter account. If you are going to let anyone tweet for your food trucks account be sure to set some ground rules so the expectations are clear. Also if anyone no longer needs to use the twitter account – change the password. It’s a best practice for a reason. There’s many services that allow you to easily buy followers. You might be tempted to do this. While it can be easy and even inexpensive to go from 5 followers to 50,000 it really don’t provide any value to you. Worse, twitter works by recommending accounts to follow. So if someone follows other food trucks and then yours your account will start to show up to potential customers organically. We wouldn’t be surprised if Twitter starts to penalize accounts that buy followers in rankings. If you buy followers you risk having to go through and purge those fake followers at some point. Here’s a tool you can use to check any account to see how many followers are fake. Accounts like ours which have never bought followers will still have some fake accounts, but the majority (85% or more) will be genuine accounts. It almost sounds a little old school at this point, but some customers love to use the phone. Try tweeting your number like Mantraah to receive pick up orders or have it posted so customers can call if they are trying to find you. 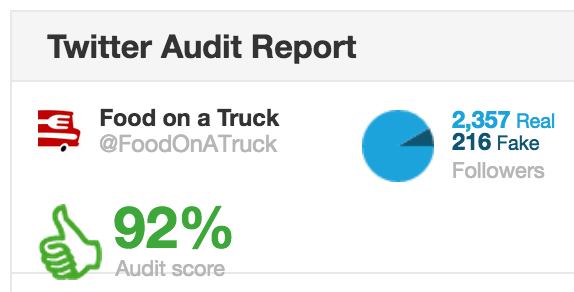 Seasoned food trucks have learned the value of twitter. Consistent communication drives your best customers to your truck. 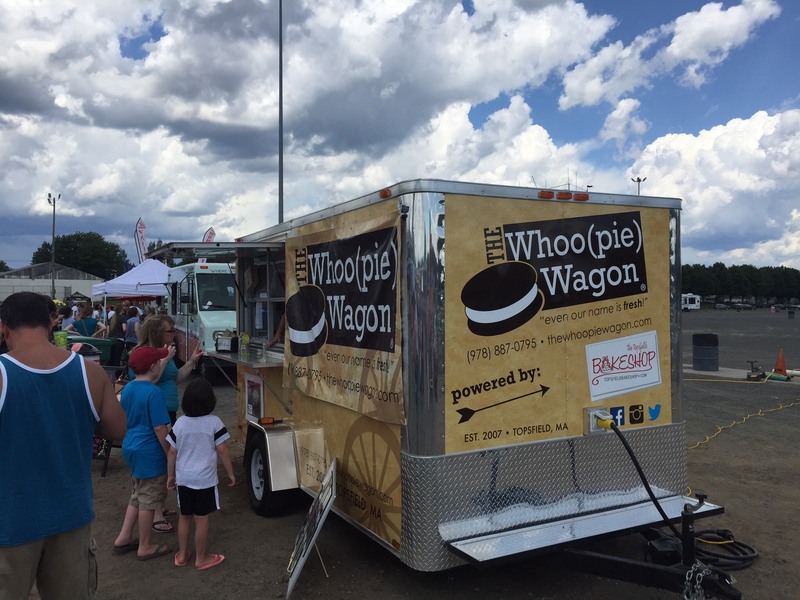 For new food trucks this could make the difference between a successful business that grows and one that stagnates never reaching the full potential. The problem is that when you show up at a location it’s a mad dash to open your window and serve. There’s simply not time to get on social media. When it comes to the business of selling and serving food, refrigeration is vital. Each type of food business will have different needs in keeping products and ingredients fresh and safe for consumption. For food truck owners, choosing the best refrigerator for your business can have a great impact not just to the quality of the food served but on the operation of your venture. Not all refrigerators are created equal and choosing the right one is important from the start for a food truck business. This type of equipment is an investment not to be taken lightly, more so as it affects your business operations in a daily basis. One factor that entrepreneurs must first consider is the nature of your business and how refrigeration will be utilized. Will your products be frozen like ice cream or just cold like fresh ingredients? Will you be storing ingredients or ready-made products? Do you want it to be multipurpose like a glass door merchandiser or a sandwich preparation table? The refrigerator you will purchase must be able to complement and function seamlessly with your business model. Another consideration is the type, size, and energy efficiency of the appliance. Some may choose to use residential type refrigerators to save a bit of money but they are less powerful and have limited selection than commercial types. Also, there are varieties of commercial refrigerators that are more suited for a food truck business because they come with convenient features like prep tables, refrigerated drawers, and extremely durable design. Though commercial refrigerators are typically larger than residential types, many models are designed to be energy efficient that can save you money in the long run. Also an important factor is the after-sales support for the refrigerator including maintenance, warranty, and parts. Because a busted refrigerator can halt your food truck operation, maintenance and repair services must be taken into account when picking the brand or manufacturer of your equipment. Having dependable after-sales support ensures that you will benefit from the full life-cycle of the equipment and get a return on investment. The health code and regulation of the vending areas is also a factor that must never be overlooked when choosing equipment for your food truck. Many territories have city or state laws that require mobile food businesses to have commercial-type appliances. These regulations may set specifications like storage capacity, acceptable operating temperature, or even external thermostat display based on the type of products to be sold. Ensure to purchase a refrigerator that will be compliant to local laws to avoid legal issues from interrupting your business operation. Commercial refrigerators specifically marketed for mobile food businesses come in various types with their own benefits. Featuring rugged tops that can be used for food preparation or hold other appliances, refrigerated chef bases gained popularity due to its convenient design. Because the refrigerated drawers are conveniently close to the cooking line, food truck operation is efficient and requires less movement. Buyer’s Check: If cooking equipment will be used on top of the chef base, make sure to take into account the warm air produced by the refrigerator’s condenser in addition to the heat from the cooking equipment when doing the calculation of CFM (cubic per minute) ventilation requirements for the exhaust hood. Use mounting legs to achieve minimum amount of clearance between the cooking equipment and the chef base. Check the refrigerator’s specification sheet to prevent exceeding the weight of objects put on top of the chef base. Used to streamline food preparation while keeping ingredients cold and fresh, prep tables can be equipped with mounted cutting board and pans for easy food assembly. They can come in two different categories: sandwich or salad prep table and pizza prep tables. Sandwich prep tables have a thinner cutting board, have no rail (flat prep), and uses 1/3 size food pans. Pizza prep tables have a thicker cutting board, raised rail, and uses 1/6 size food pans. Depending on the model, refrigeration is achieved via air cooled, cold wall, or liquid jacket method. Buyer’s Check: Choose the type base on your application and available space. The number of ingredients required by the dish or menu can affect what style and configuration you must purchase. Keep refrigerated prep tables from high heat, humidity, or air flow as it may impact the quality and temperature of ingredients. With limited space to work with inside a food truck, under-counter models can serve as a main or secondary refrigeration unit. They are designed to be fit under counter-tops and some are not suitable to be used as preparation space or hold equipment above them. Height measurements include 36 inches for typical under-counter refrigerators, 34 inches for “ADA height” (Americans with Disabilities Act) models, and 30 to 32 inches for “low profile” versions (including legs or casters). Buyer’s Check: Carefully measure the area where the fridge or freezer will be placed. Depending on the design of the model, required clearance for proper ventilation might be necessary. Drawer-types are gaining more popularity due to quick access to ingredients compared to door-type under-counter refrigerators. Some under-counter refrigerators are designed with heavy-duty worktop surface and can be mounted with an optional back-splash accessory, essentially transforming it into a worktop refrigerator. Having the same height as an under-counter refrigerator, worktop models differ by being designed to provide a convenient space for cutting and preparing food. Also, some models have a back-splash attached to protect the wall from food debris or particles, though other models forego this feature to achieve a seamless and easier to clean design. Buyer’s Check: Due to similarities with under-counter refrigerators, check the weight-bearing specification of the model you are about to purchase, as those designed to be able to carry weight above can be safely used as worktop. Choosing the right refrigerator for your mobile food business can be a bit confusing with all the options available and the various health regulations that need to be considered. But sticking to your business plan, needs, and budget is a great way to keep on track and select the equipment that will help your food truck succeed. Unlike restaurants that have a fixed connection to the grid for all their electricity needs, mobile food vendors require reliable power that can travel with them from point A to point B. This makes generators an essential part of any food truck today. Choosing the right generator to power your appliances is a very important decision that have lasting implications to your business if not considered carefully. How to Buy a Generator? Access to portable electricity is not cheap, which is why food truck owners should consider certain things before choosing your power source. Answering the following questions can serve as a starting point and give you a picture of what to look for in selecting a generator. What appliances will you use at a given day? Understanding how your equipment will function when powered by a generator is important to prevent your food truck operations from stalling. Some appliances need a higher starting wattage (required power to start up) compared to its running wattage. You need to know the kind of load your generator will be powering so you can calculate how much power (and the size of generator) you will need. Resistive loads – require the same amount of power to start up and run. These are appliances usually involved in heating or produces heat like light bulbs, coffee makers, toasters, and microwave ovens. Reactive loads – require additional power to start but consumes less once it is running. These are appliances that contain an electric motor like refrigerators, bean grinders, blenders, and air conditioners. A generator can only produce a certain amount of electricity so make sure to choose a model that will be able to cover your food truck’s power requirements. To know how much power your generator should have, calculate the power requirements of all the appliances you will be using at the same time. You can determine the power required by an appliance by checking the bottom or side for a stamp, its nameplate, or the data tag found on electric motors. Manuals also contain these information. Power requirements of appliances are usually listed in amps while most generators list power outputs in watts so a bit of conversion might be required. To calculate: Add the power requirements of the appliances you will use at a given time. This will give you the amount of power your generator should at least have. If the load is reactive, calculate using starting wattage, which is typically 3 times the running wattage. You will need a generator with power output of at least 2950 watts. Getting a generator with a slightly higher wattage output than your requirement is recommended; some appliances increase their need for energy as they age and become less efficient. In addition, generators are advertised with “maximum power” and “rated power.” Maximum power is the highest wattage a generator can produce and usually available for up to 30 minutes. Rated power is the power a generator can produce for extended periods of time, which is typically 90% of maximum power. Use rated power in determining whether a generator will be able to provide your food truck with enough energy to operate your equipment. What type of generator should you choose? There is a wide variety of generators for mobile food vendors to choose from but models fall into two categories: conventional generators and inverter generators. Both types of generators use fossil fuel (usually gas, diesel, or propane) to produce electricity. Many food truck operators prefer to use inverter generators for the smoother energy output, portability, fuel efficiency, and quiet operation despite the higher price compared to conventional generators. There are many different models of generators out on the market today. Some of the most popular and recommended models are made by Generac and Honda. Generac and Honda offer their generators at low prices, and both are completely reliable brands that offer a range of low watt generators to high watt generators to fit your needs. Some of the best mobile generators by Generac are the MLG series. They range from 8,000, 15,000, 20,000, and 25,000 watts. They are inverter generators run on diesel. They will hold enough fuel to run for 48 hours straight. However the generators come with their own trailer so they must be pulled from behind the truck. Generac also has portable generators that don’t need to be pulled from behind. The most reliable of them would be the XP series. This series has models ranging from 4,000, 6,500, 8,000, and 10,000 Watts. They are inverter generators run on diesel and has a 9 gallon tank. These generators will last about 9 hours at a time. Generac has a very wide array of generators to fit all your food truck needs and all their generators are extremely reliable, very durable, and will last a whole days use. Honda doesn’t have a very wide selection of generators but they are extremely reliable and durable. Their best generators are their EB series. These generators range from 5,000, 6,500, and 10,000 watts. They are inverter generators. The generators hold 6.2-8.2 gallons of gasoline fuel. They will run for 7.2 hours to 10.1 hours at a time. We sent out a tweet asking our food truck followers what generators they were using and what they would recommend to other food trucks. We also asked if they were having any problems with their current generator. What generator are you using with your #FoodTruck? Would you recommend it to another #foodtruck? Any problems with yours? Of course, our followers came through and gave us a couple excellent recommendations for generators that meet all their needs. One follower recommended the Honda EU3000i. It is very quiet, offers 3,000 watts, weighs about 46 lbs., and will last 8.1 hours on 1 gallon of gasoline fuel. There another very handy model that offers the same features as the Honda EU3000i but it is only 2,000 watts. Honda also offers generators that give less watts and are smaller. @FoodOnATruck Onan Marquis Gold 7000. Definitely recommend as it is very quiet. Another generator that was recommended by our followers is the Onan Marquis Gold 7000. If you don’t want to get a Generac or Honda generator this is a very highly recommend model that will meet all your needs. It produces 7,000 Watts and runs on gasoline fuel. It is extremely quiet and will last a whole day’s work. Does My Food Truck Have Enough Vegetarian Menu Items? Whether being a lifestyle choice or due to health reasons, an increasing number of people are becoming more discerning when it comes to the food they buy and eat. Being in the front-end of the food economy, consumer trends toward healthier options can have a dramatic effect to the food truck industry. It is essential for mobile food vendors to ask how they can react or leverage their business to cater to the changing needs of their customers. Consumers are embracing healthier options, particularly the younger generations. According to a recent report by the Nielsen Global Health and Wellness Survey, 41% of consumers under age 20 (Generation Z) are willing to pay more for healthier products compared to 32% of millennials (born early 1980 to early 2000’s) and 21% of baby boomers. In addition, the number of vegetarians and vegans are also on the rise. According to the 2013 Public Policy Polling Survey, 13% of Americans identify themselves are either vegetarian (6%) or vegan (7%). This is a bit of a leap from the 2012 Gallup poll (5% vegetarian and 2% vegan). Though some may find it challenging and even intimidating to integrate healthier options into the food truck menu, vendors may find that vegetarian options can give high margins and also added revenue streams. Because vegetarian dishes can be made using lower cost ingredients without compromising quality and taste, one can price their vegetarian dishes competitively. For example, substituting crumbled tofu for cottage cheese or ricotta cheese in lasagna and similar dishes can lower the cost. Another example is eliminating meat in preparing pasta sauce. Many people also do not mind to pay more for healthier options because they look at it as an investment on their health. Instead of paying for medication or treatment due to a bad diet in the future, consumers prefer to pay for healthier food today. In reaction to the increasing number of consumers who want healthier food options, a growing number of food trucks in larger urban areas are becoming vegan-friendly and had become very popular. Also, the number of vegetarian products in groceries are also increasing, from the number of brands of soy and almond milk to meat replacements like tempeh and tofu. If you are still unsure whether have vegetarian option in your food truck menu is a right choice, here are some pros and cons that may help you decide. Vegetarians are on the rise. Over time, more and more will show up at your mobile food business. 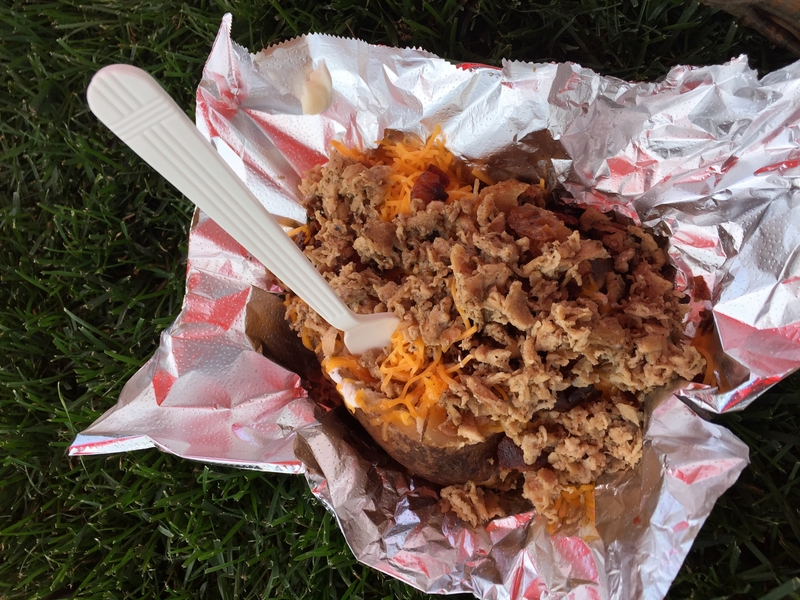 These could become some of your most loyal customers – we strongly suggest you have more than one vegetarian option (even if you are a BBQ truck).